As I personally really like React and used it in the past for several projects, I am not that happy about the bunch of additional npm packages I need for a working application. To be up-to-date you have stick to the latest versions and that is sometimes awful if you are also developing the backend as you have to observe more frameworks and libraries. For most of the (enterprise) applications, it’s all about validating user inputs, manipulating, storing and displaying data. This can be easily achieved with a SPA and a backend like Spring or Java EE but you need experience in both technologies and staying up-to-date is more complex. To get a whole overview of the server-side vs. client-side web development and to overcome my (maybe) Junior mentality of using every new shiny framework I wanted to know more about server-side rendering with Java. I always had the prejudice that it’s quite old, slow and not usable these days but I never tried it for my own. At one of the airhacks.com Adam Bien (@AdamBien) did a quick intro to JavaServer Faces (JSF) and showed how easy it was to get started and create JSF components in seconds. To get deeper insights into this mature technology I bought the book The Definitive Guide to JSF in Java EE 8 from Bauke Scholtz (@OmniFaces) & Arjan Tijms (@arjan_tijms) and worked through it. They cover all aspects of web development with JSF: WebSockets, Validation, Internationalization, Security etc. and I can highly recommend this awesome book. Today I’ll show you a quick Hello World with JSF 2.3 and Maven on Payara 5.182 to make you familiar with the technology. Like every Java EE part (CDI, JPA, EJB …) JSF has a formal specification and several reference implementations. The most popular implementations for JSF are Apache MyFaces and Mojarra. The dependency javax:javaee-apibrings you the formal specification with several classes and annotations. 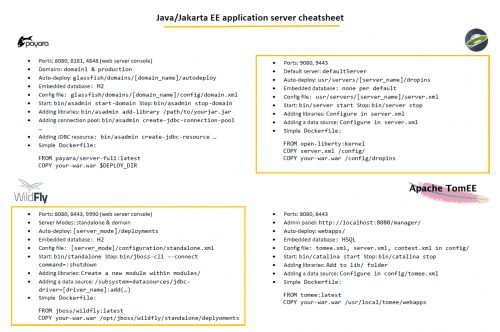 The implementation of the several Java EE APIs is provided by the application server (e.g. Payara, OpenLiberty, Wildfly etc.). 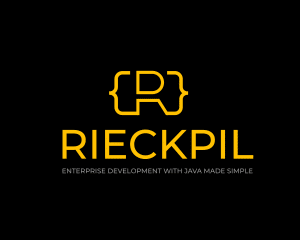 Marking the dependency as provided will lead to a thin war deployment where the Java EE dependency is not packaged to the war file as it is part of the application server. The war file will just contain your business logic and JSF views. With this configuration, you enable the central FacesServlet, define the mapping of JSF related views and the welcome file. JSF follows the MVC approach and your views are mostly written as .xhtml files (a detailed JSF MVC explanation can be found here). You may notice the prefix <h:…> on several HTML elements which is one of the main differences to normal HTML (.html) files. With this prefix, you reference a specific namespace and in the case of <h:…> it’s the namespace of the basic HTML elements. There are several other namespaces you can use like <f:…> which give a bunch of predefined components and functionality. In the example above we are just using a form with a label for an input field, a submit button and a placeholder for some output text. You can find the Hello World example with the required steps to run this application locally on GitHub. I’ll definitely play more with JSF and start using the awesome component library PrimeFaces which brings a lot of ready-to-use components (e.g. date picker, dialogs, data tables, panels, menu bars etc.) and keep you up-to-date. If you want to get further information about JSF, have a look at the following book The Definitive Guide to JSF in Java EE 8 or at this overview for some tutorials and answers. Also is there any article you have worked on Java Server Faces Life Cycle? Since JSF components are stored on Server(Even Client with a parameter in Config file)?Any efficient way to handle that? thanks for your question. I think this really depends on your project. If you want to develop a pixel perfect UI with fancy animations then JSF is maybe the wrong choice. Have a look at the ready-to-use JSF components from PrimeFaces and the different themes . If they fit for your use case and your development team is more experienced in Java, you’ll be more productive with JSF. Another benefit I see in JSF is the maturity of this technology whereas the Single Page Application (SPA) frameworks are often changing and you have to keep up-to-date. Regarding your last three questions I have not yet written an article about that but I can highly recommend you the following book: The Definitive Guide to JSF in Java EE 8 or this overview for some tutorials and answers.